In Bar Chef, R llich shares 100 original recipes for drinks that are as beautiful as they are delicious, including the Quixote (gin and grapefruit); a Kentucky Sour (bourbon and homemade cola syrup); Eggnog for the holidays; and R llich's signature drink, the Green Goddess (green tea vodka and cucumber with arugula, jalapeno, and absinthe), which has become a part of the language of LA. Featuring easy-to-follow recipes for syrups, tinctures, liqueurs, and bitters with herbs, spices, and seasonal fruit, R llich guides you through his creative process, demystifying the craft of cocktail making. 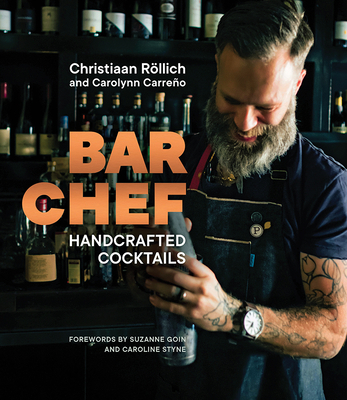 With stunning color photography and the suave storytelling of your favorite bartender, Bar Chef will become a go-to bar book for home cooks and cocktail enthusiasts, inspiring and pleasing readers with every drink.